GaelicArt 'founded in 1979' is home to the Largest Collection of Gaelic Games Prints and Photographs in the World. 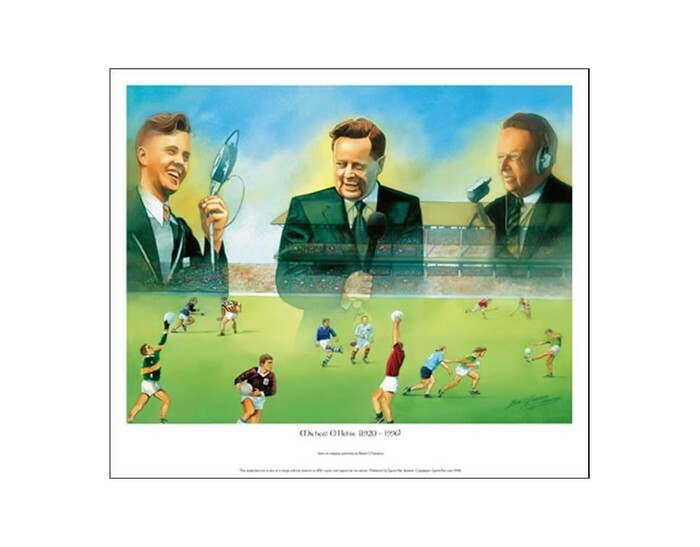 Paintings from Ireland's Greatest GAA Artist Brian O'Flaherty and the World's Greatest Sporting Artist Peter Deighan. 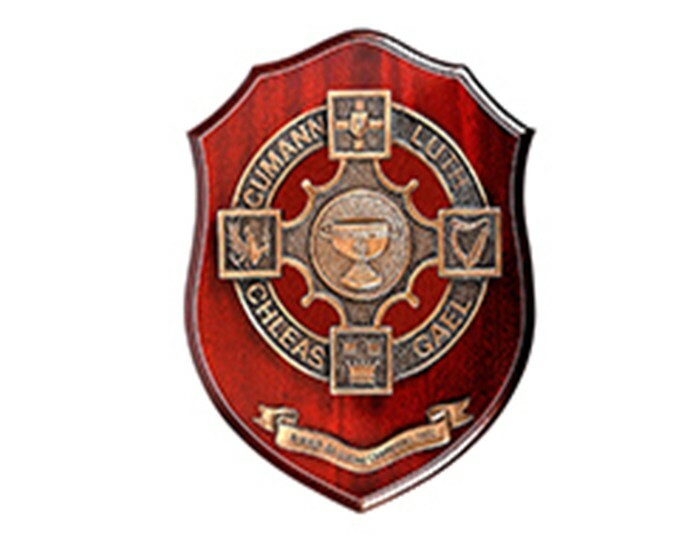 Old Croke Park Photographs and Prints of Michael O'Hehir, Micheal O Muircheartaigh, GAA Founders, Liam MacCarthy and Sam Maguire, Millennium Hurling and Football Teams and all the Great County Teams from the foundation of the GAA in 1884 to present times. 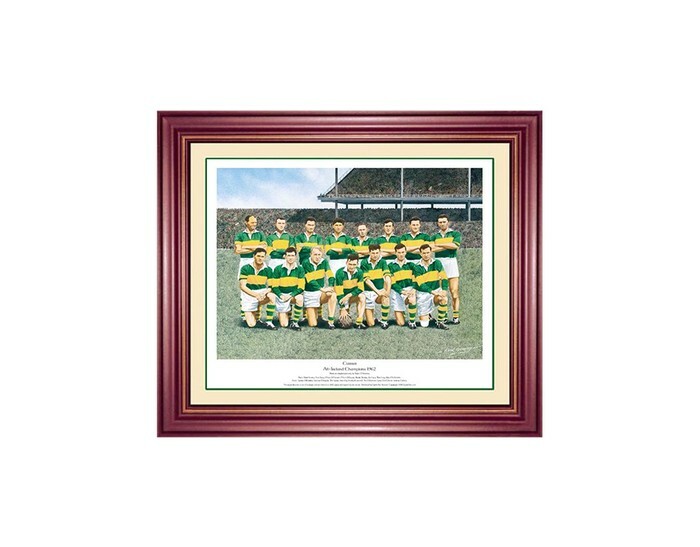 This is a Painting by Brian O'Flaherty Ireland's Foremost GAA artist, of the great Meath Team in Croke Park, that won the All-Ireland Senior Football final of 1954. 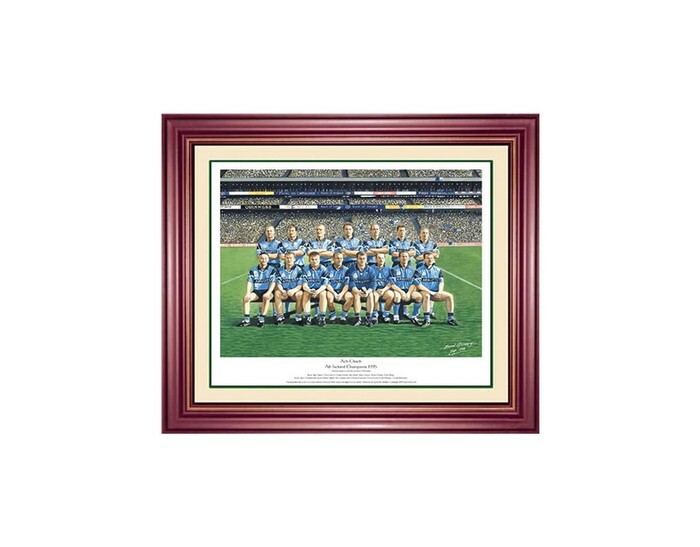 This is a Painting by Brian O'Flaherty Ireland's Foremost GAA artist, of the great Dublin Team in Croke Park - that won the All-Ireland Senior Football final of 1995. 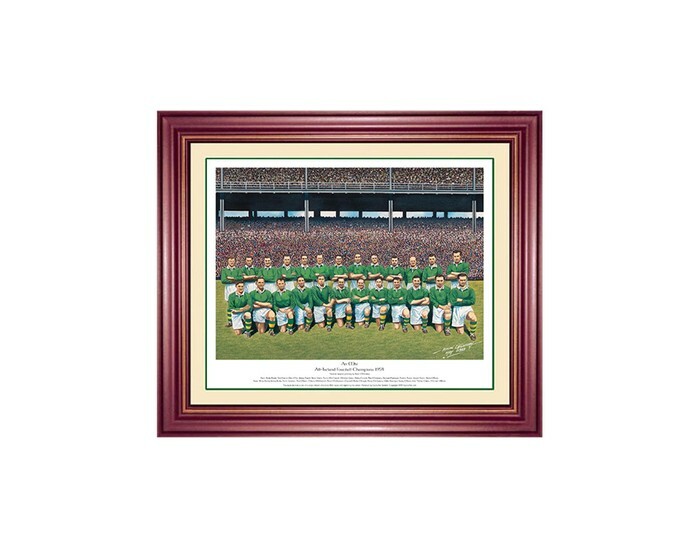 This is a Painting by Brian O'Flaherty Ireland's Foremost GAA artist, of the great Kerry Team in Croke Park, that won the All-Ireland Senior Football final of 1962. We offer discounts to Pubs, Hotels, GAA Clubs and Organizations who buy in bulk. Please contact us for further information.